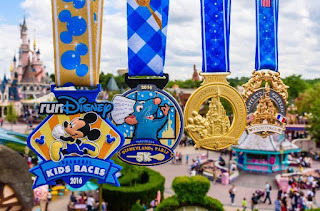 This morning the medals for Disneyland Paris were revealed!! We can't wait to earn ours! It has been a hectic year for our family, with a new baby and a cross country move, but we are looking forward to our vacations in September. Then, it's off to Paris! I'll be doing the 5K with Aly. Bill and Aly will be doing the half. This Fairy Grandmother and Robby will be chEaring them on. 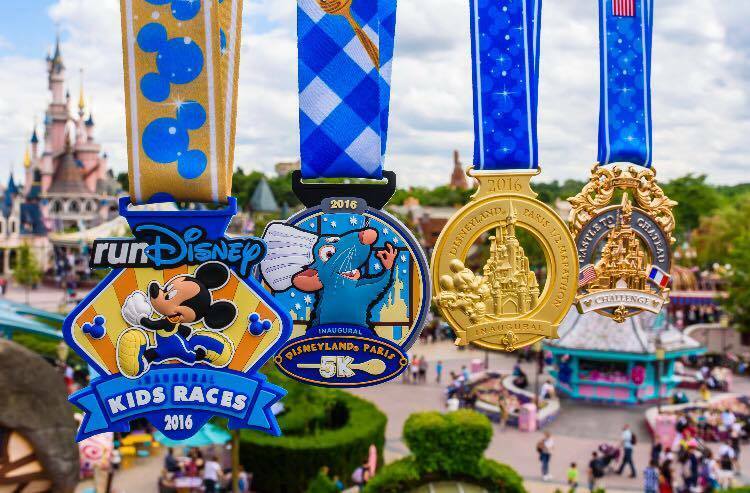 Will we see you in Disneyland or Paris? Paris go family.. Not a happy runner today just got bib # for Disneyland we are in the back.. but that's ok this will be Paulina's first Disney 1/2 no K's for my kid.. See you there.. Enjoy your 1/2, regardless of the corral. It's all about the journey. Have fun! !